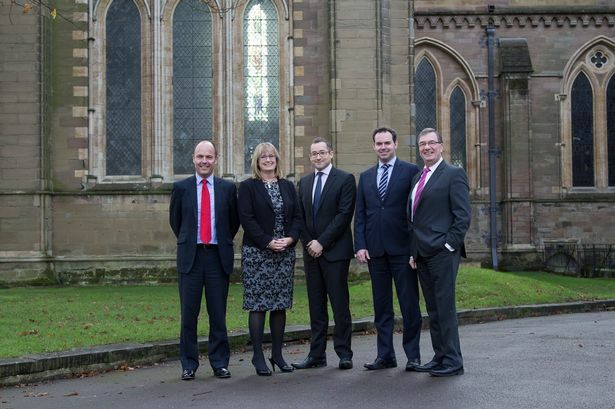 Law firm Harrison Clark Rickerbys has made three partner promotions at its Worcester head office. The trio of promotions brings the total number of partners at the firm to 59 across its six offices in Birmingham, Cheltenham, Hereford, Ross-on-Wye, Thames Valley and Worcester. Claire Thompson, who works in the firm’s employment team, has been promoted from senior associate to partner. She advises employers of all sizes on a range of contentious and non-contentious employment issues and has particular expertise in advising on large-scale business reorganisations and redundancies. In the commercial department, Rob Cobley and David Bayliss have been promoted to partner. Mr Cobley specialises in intellectual property and technology, while Mr Bayliss’ clients range from new-starts to international organisations. Robert Capper, partner and head of commercial at Harrison Clark Rickerbys, said: “We are pleased to recognise the exceptional work of our solicitors at Harrison Clark Rickerbys and to provide them with the opportunities to climb the career ladder within a progressive law firm. Senior partner Jonathan Brew added: “Individually these three lawyers are very hardworking, dedicated and have demonstrated the highest standards of legal excellence within their fields.